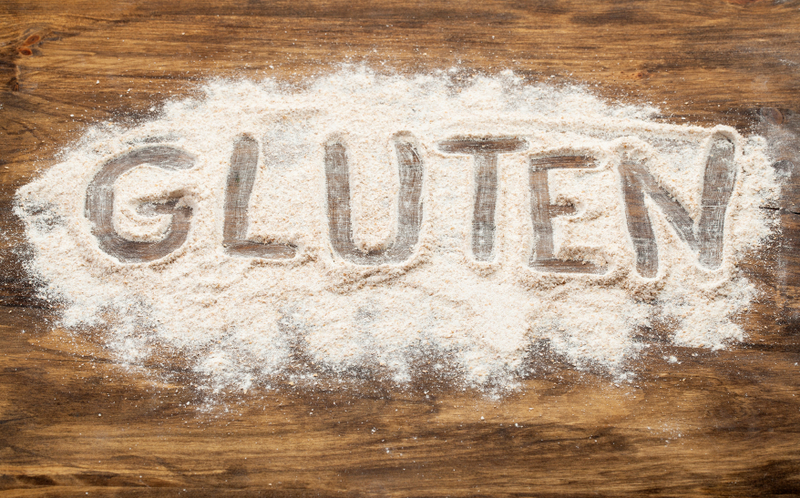 Gluten is a protein found naturally in many grains such as wheat, barley, kamut, spelt and rye, It’s the protein that holds the ingredients in breads and baked goods together and is used as a binder in many processed foods. It makes the fluffy or chewy texture of baked goods. Gluten is very difficult for our bodies to break down. It sits in our digestive tract, rotting and fermenting away causing bloating, cramps and gas. It also blocks the ability of nutrients to be absorbed and causes protective mucus to be formed in the digestive tract (this adds another barrier the nutrients need to get through). Gluten causes inflammation in the small intestine for people who are allergic to the protein. Many go untreated, assuming the symptoms are normal occurrences with food in their life. · Arthritis · Fatigue and many more…. Gluten is very addictive because wheat is high in sugar causing the rapid insulin rise in your bloodstream followed by the crash. This means that the more gluten you eat the more you will want leading to the addiction! Research suggests that at least 1% of North Americans have celiac disease, with the majority going undiagnosed. It’s likely that an even greater number have gluten intolerance, a condition where gluten exposure produces similar short term symptoms but no intestinal damage. Gluten is used as a binder in many processed foods so it can hide in products you wouldn’t normally consider, so if you are trying to avoid gluten, you really need to become a food detective. Contact me to arrange a 90 minute grocery tour where I can help you navigate the aisles and teach you the tricks to being gluten-free. Check out my friend Dee’s recipe below for gluten free cookies, it’s one of the awesome recipes in our new free Healthy Treats & Snacks Ebook. Cream the butter and sugar together, then fold in the other ingredients and mix well. If it is too wet you can add another 1/4 to 1/2 cup of coconut flour. Roll in to balls and then flatten a bit. They will not spread. Bake at 365°for about 12 minutes. Let them cool on the cookie sheet, as they will be quite crumbly till they cool.